I’m sure you have watched ads on television for people opting to have their dog DNA tested. Well, now dog owners are doing the same thing with their furry little friends. YouTube is loaded with people sharing their doggie DNA test results. Most people who own dogs do not think about having their DNA tested to find out if their dog is a purebred or a mixed blend. Many people fall in love with a dog and, quite honestly, don’t care but it can be fun to discover your dog’s ancestry, how they got their individual markings, and even their temperament. There are so many blends, mixes, and even purebred dogs, it’s total guesswork trying to identify your pup’s breed. Let’s say your dog looks, acts, and seems to be a Golden Retriever but the length of her fur doesn’t seem to match nor the color of her fur, what to do? Testing your dog’s DNA will answer your questions about your dog’s breed. The other incredible aspect, a dog DNA test will go back at least three generations! #1 – Wisdom Panel 10! #2 – Embark Vet 9.9! #3 – DNA My Dog 9.8! Why Test My Dog’s DNA? This can help dog owners who have rescued a dog and he or she is probably a mixed breed. You will gain a great deal more information about your furry friend. Let’s say your dog is a mix of German Shepard and Golden Retriever, you will learn what health issues are associated with both breeds, what size they will reach full growth, and their personality traits. If you own a purebred, you will learn about potential health issues, their overall personalities, how they get along with other dogs of different breeds, the best exercises and training your dog should be involved in. Training and exercising can make a difference to ensure you are helping to prevent health issues as well as the level of exercise and training your particular breed needs. Also, DNA can let you know how aggressive your pup might become along with other personality traits that can play important roles when socializing your dog to other people and other animals. You want to ensure your pup will get the correct training to avoid unwanted behavior. Some breeds, by nature, need a great deal of exercise where others do not. Some breeds love water while other breeds act like it battery acid! Shelters and dog rescue places should take advantage of DNA testing to match suitable homes with certain breeds. Knowing the breed of a dog can help rescue owners have a better idea what their little friend’s potential health issues might be as well as if this particular breed (or mixed breed) will be a good match for a family that has children or other pets. Another advantage of having a DNA testing, someone who lives in an apartment won’t end up with a dog that’s too big and they end up giving the dog away. • 2 Cheek Swabs that should be used on the same dog. the samples off to the lab for testing. Although the instructions might vary, somewhat, with added steps, how to insert the cheek swabs into the container, and how long you should shake the sample. In general, most tests are about the same. Take the swabs from their packet and be very careful not to get anyone’s DNA on them. Place the swab against your dog’s cheek and swirl for approximately 20 seconds. You might experience some resistance as your pet will not understand what you are doing. If you have someone else with you, they might be able to hold your dog’s head still. Place the swab in the insert of the packaging and then allow it to dry out for approximately 5 minutes. Then repeat these same steps for the 2nd swab. Once you have completed the above steps, go to the website of the test brand you have chosen. You will receive an activation confirmation number that you must write on the #1 label. Place the #1 label on the sleeve of the swabs. Then insert the swabs back into the sleeve but DO NOT SEAL THE SLEEVE! If the swabs do not remain dry, any number of things can grow inside. Each kit should have instruction for how long you need to wait before sealing the container. Once dry, place the swabs into the envelope (or box) and seal it. Place the shipping label on the box and mail out your dog’s samples. Now, just wait for the results! One handy tip comes from Embark Dog DNA, they suggest that you dangle a treat in front of your dog to get them to create the flowing of saliva for getting a good amount for the test. Note; Do Not Give Your Dog The Treat! If you have a dog that naturally forms a great deal of saliva, this will not be important. What Does It Cost For A Doggie DNA Test? Like many things in life, the more you can spend on a kit the better results you will get. The kits range from $50 to $200. Some DNA tests can be less expensive but they might have a smaller database for breeds. These databases are probably fine for someone wanting to know what mix of breeds their dog has but if you are looking for information that will detect any genetic issues to prevent your dog from contracting sicknesses or diseases, this smaller databases might not work for you. The kits can vary quite a bit, some might have greater details about your dog’s breed while another one might have more information about potential health issues or conditions your dog might run into. Wisdom Panel offers four different canine DNA Test Kits. The two most popular are the Wisdom Panel 4.0 and the Wisdom Panel Health Kit. 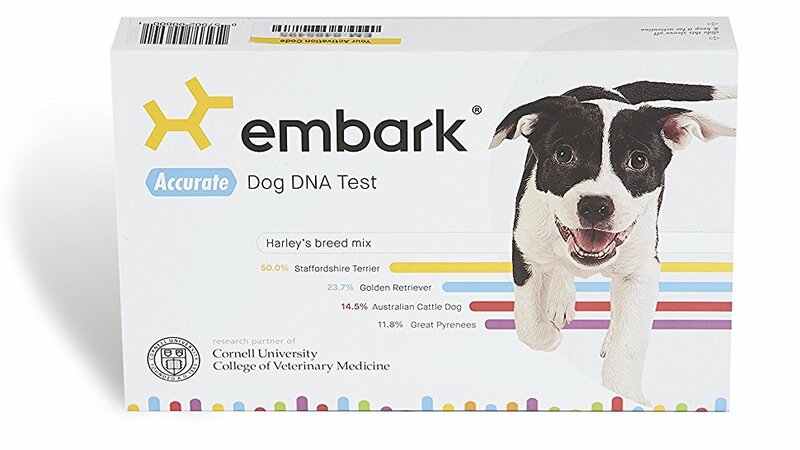 The differences between these two kits, the Wisdom Panel Health Kit will test for all breed information as well as genetic screening for well-over 140 genetic varieties associated with the increase of disease risks. You will find out if your dog has this particular genetic mutation and whether your dog will get negative side effects from certain medications. If your dog carries this particular gene, he or she could suffer from exercise-induced collapse which can be fatal. An added benefit of using these two tests, they will also test for wolf and/or coyote genes at no additional charge. Wisdom Panel is very popular for those who do not want to wait a long to time get results. These kits will only take between 2 to 3 weeks for results. This is an excellent test even though they have a smaller breed database which includes approximately 175 breeds but also 160 genetic mutations. This is the best DNA test for those who want to know not only the dog’s breed but also a more extensive test for genetic health screening. Their test takes a longer period of time to complete which means approximately 1 to 2 months for results. This DNA test is one of the least expensive tests at $68,99. Although this might sound like a good deal, their database is very small and can lead to inaccurate results. Their database only has 95 breeds of dogs but if your dog has one of these breeds, you’re in luck! They have a very fast turnaround time and will provide a certificate with a photo of your dog, stating what she or he is made up of. When you take different factors into consideration when choosing the right kit, you will get better results. One of the most important factors is the size of their database and the number of breeds they offer. Some kits offer 95 breeds while others have approximately 250 breeds. The more you pay for a kit, more likely the database will be much larger with an extensive number of breeds. Databases that offer 95 breeds usually have the most popular known breeds but will not give you great results if your dog’s breed is not on the list. The more in-depth the database, the better it will be to discover your mixed dog’s breeds. If your dog was born from 2 mixed breeds, and the parents’ parents were also mixed breeds, a larger database will give you better results. That said, the closer your dog is to a purebred, the more accurate your test will be. Even then, as DNA testing is not an exact science, it’s not a given. Choosing which test you want to purchase should be based on what information you are looking for and how much accuracy. Do your homework and choose a kit that has a decent database and offers information regarding potential health risks. Many of these companies go out of their way to make sure that the level of human error is very low. That said, there will always be a chance for human error and if the owners do not read the instructions carefully, chances are there will be many errors! There could be some mess involved when you are trying to swab your dog’s cheek and if you have another dog and this drool lands on the other dog – oops! Paying close attention to the instructions can dictate whether your results will be successful or not! Some instructions advise owners to wait a certain period of time either before or after your dog has eaten before performing the test. Also, the swabs must go from the sleeves to your dog’s cheek, then into the insert to dry properly, and then back into the sleeve. Never seal the sleeves until instructed! Whether you are testing your dog out of curiosity or want to know more about potential health risks, getting the test can be really exciting! Owners with mixed breeds should know as much as possible about their dog in order to ensure the best possible care. Having a DNA test performed is an excellent step in the right direction. It’s important to research, buy the kit that will work best for you and your dog, and whether you are paying the right price for what you are searching for. Whether you are thrilled or just OK with the results, these DNA test will provide you with excellent information about your dog’s breed(s). The test will usually not be able to explain every feature of your dog’s appearance but it will help you understand their behavior. Above and beyond all else, it’ll be a lot of fun to find out your dog’s history and ancestry! Dog owners truly love their pets and want the very best for them. We are watching people all around the world having their personal DNA tested in order to find their family trees and where their ancestry came from. Testing your dog’s DNA can provide that as well as valuable information to ensure their health. You can learn what level of exercise is good for your furry friend and what is not. DNA can sometimes even provide information that shows potential health issues that you can pass on to your vet for future reference. 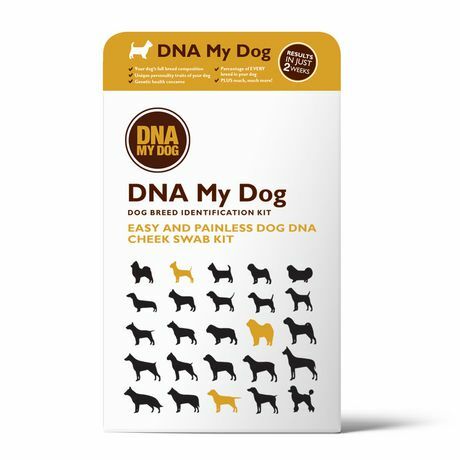 As with everything, always do your homework first so you can get the DNA Dog Kit that is best for your needs and will give you the best results for your money! While you are at it, give that four-legged friend a big hug!